Until last Thursday I had never had a chai latte. I actually didn’t even really know what a chai latte was. Today, I am a convert. ‘Cause this stuff is good! 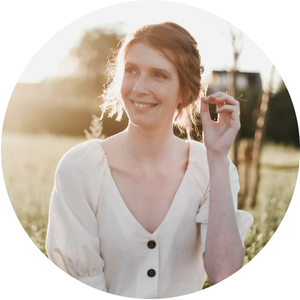 And here’s a blog post to tell you why. Chai what? All I knew was that Chai Lattes are the new popular kid on the blog. I was curious, but I am also a creature of habit and kept to the coffee kind of latte. With vanilla syrup, because who cares? All of that changed when I was introduced to up and coming food brand Chalo at a press event I attended last week. First I got a little lesson in the “what?” of chai lattes. Turns out they aren’t as exotic as Starbucks makes ’em seem: a perfect balance between (usually) black tea, spices, water and (foamed) milk will give you a light and lovely drink that is low on caffeine. Chalo offers chai lattes in powder form so they are easy to make at home. All you need to do is add water and milk! Then came the fun part: tasting! Chalo presented us with two choices: vanilla and masala. Now, you may guess once which flavor I tried first, haha! The vanilla chai latte smells like vanilla pudding and tastes rather sweet. I was a fan immediately and if it would have been appropriate, I would have gone back for a refill. My blogging friends were pretty enthusiastic as well and at the end of the event I put my bad girl shoes on and went back to try the masala blend. As expected, I preferred vanilla for it’s softer and sweeter taste, but all others gave masala the first price. 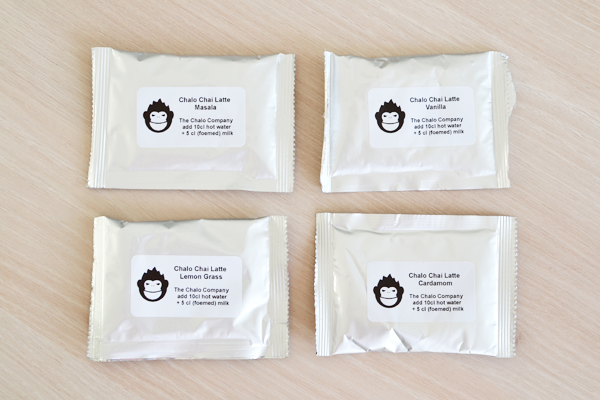 When I came home from the event I was happily surprised to find 4 small packs of chai latte powder between my press files so I could try the 4 different Chalo chai latte flavors at home (masala, vanilla, lemongrass & cardamom). Because I loved it so much, and since we’ve been talking about hot beverages an awful lot on here lately, I thought I’d share them with you! 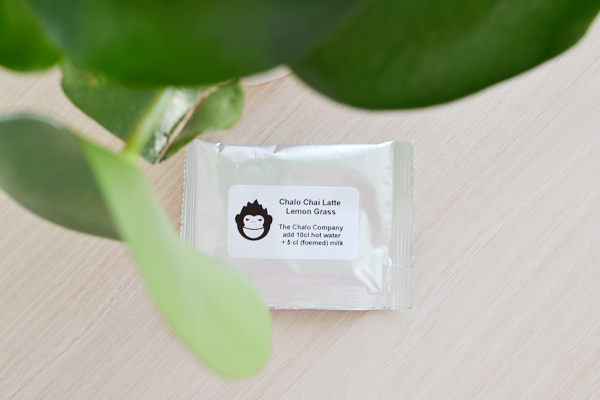 I had already tried vanilla and masala at the event, so I choose to go for Lemongrass this time. Lemongrass promised to be a fresh and heartwarming virtue and it was. 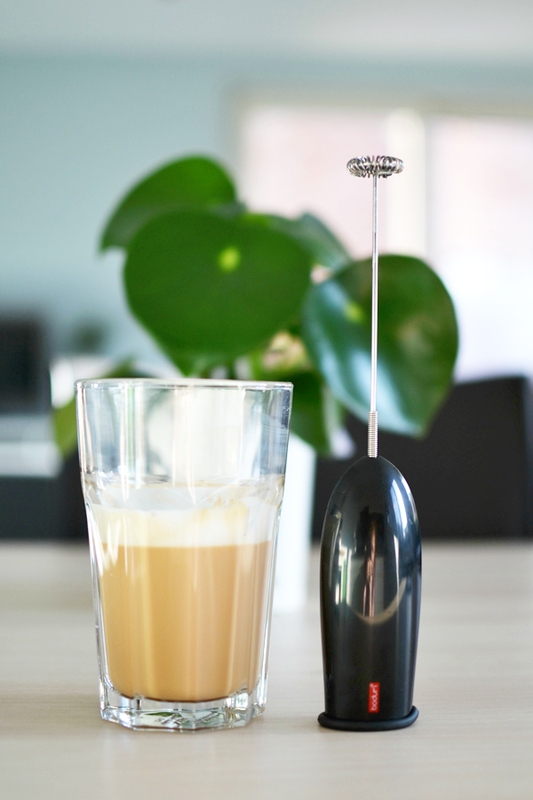 To take it to the next level I foamed some hot milk with my new Bodum Schiuma milk frother (courtesy of) and added it to my chai power/water solution. TADA!! Would you just look at that perfect, foam-y latte!? It was SO good. Maybe even better than the vanilla. Maybe. Chalo wants to bring you healthy ingredients and a cultural experience in a funky, approachable way. 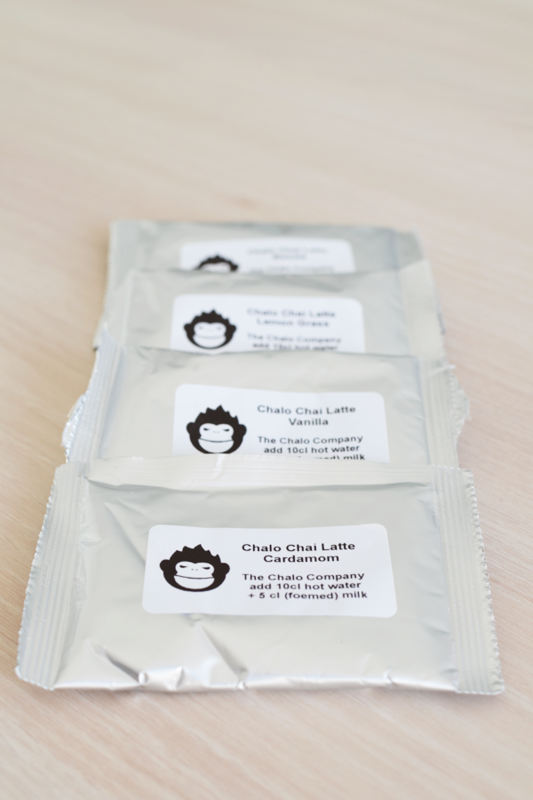 The ingredients used for the chai lattes are all-natural (no dyes or additives! ), part of the production is done in cooperation with the social economy and Chalo also offers environmentally friendly delivery services. 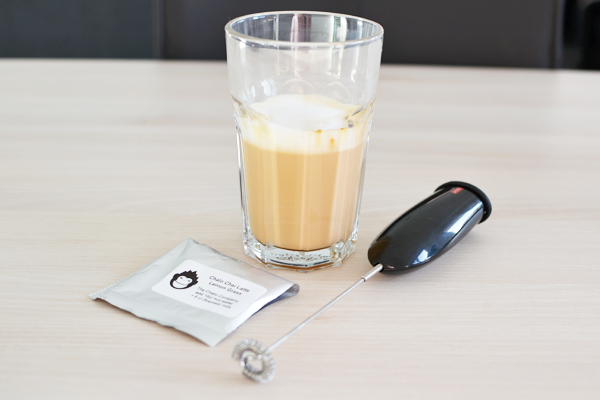 If you are still looking for stocking fillers or want to spoil someone with a small extra gift, a box of chai latte powder (€10) and a Bodum Schiuma milk frother (€7 – battery operated) make a foolproof combination! Pinky promise.Thank you Chalo for introducing me to a whole new world of heartwarming drinks and for letting me share my love for you with everyone here on The Ginger Diaries! Wauw zalig! Die ziet er echt kei lekker uit! Chai lattes zijn echt geweldig! Ik heb ze leren kennen door het eens per ongeluk te bestellen. En sindsdien: YUM! Je hebt trouwens een geweldig mooi exemplaar gemaakt! Ik krijg al goesting, zie! Chai lattes are my favorite drink 🙂 Vanilla ones are so good. I’ve never made one at home though! It seems pretty easy though. And I agree with Lauren – dirty chai lattes are great!